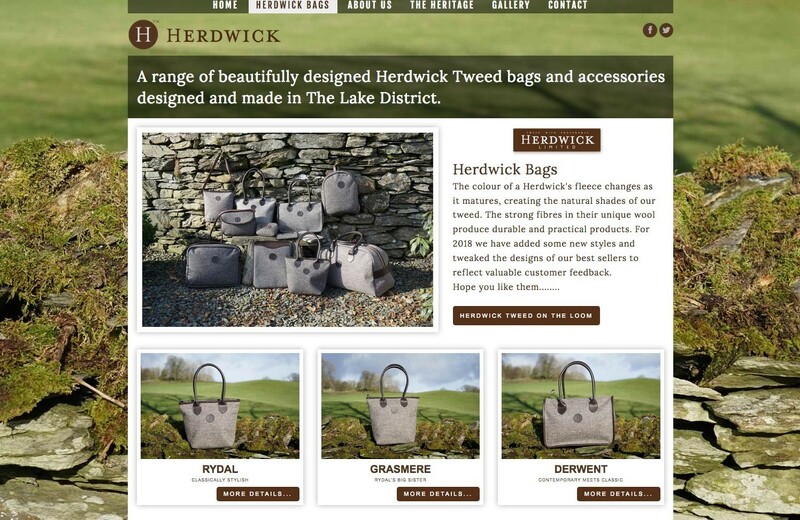 A full branded site for Herdwick Tweed, bag and home accessories maufacturer in The Lake District. 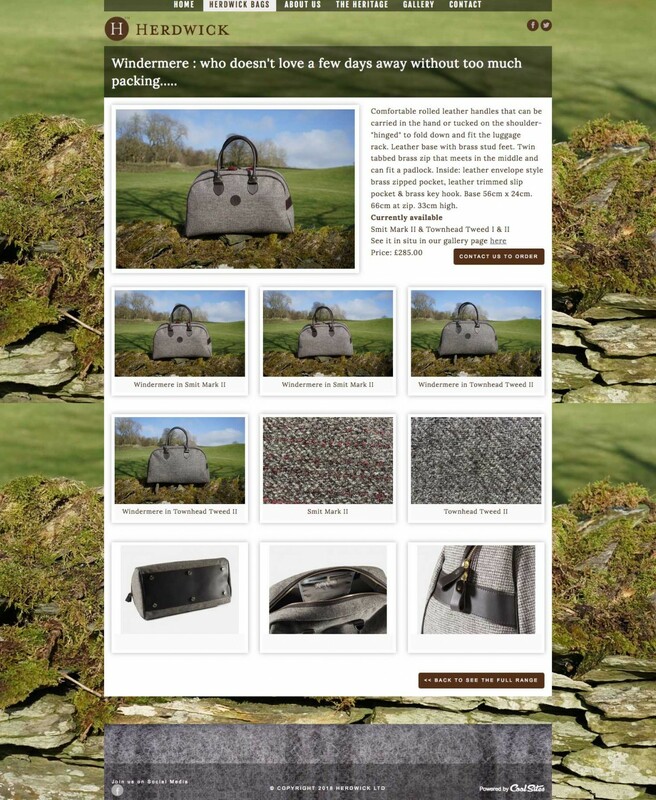 Featuring a full product range along with background pages and a gallery section. 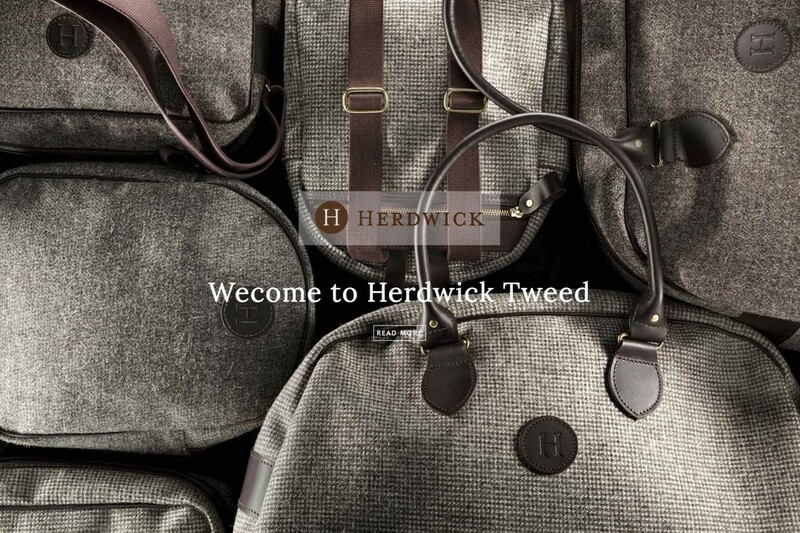 A full design and branding project from CoolSites from logo design through packaging, point of sale and photography.